Honestly, your bathtub can be your best friend, particularly during those days when you’re so stressed out. Using your favorite bar soap, bath bombs, bath salt, and scent, you can soak in your tub and ease away your worries and stress in an instant. It’s the perfect stress reliever right after work. Take note, however, that your bathtub can also be your worst enemy. If you fail to clean it regularly, it can harbor as much as 200,000 bacteria per square inch. Sounds frightening, right? Well, it actually is. Those bacteria can easily make anyone in the family sick. 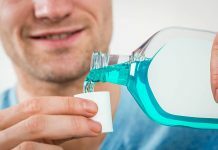 To make sure none of those bacteria get in contact with you or your kids, here are the best bathtub cleaners you need to invest in. 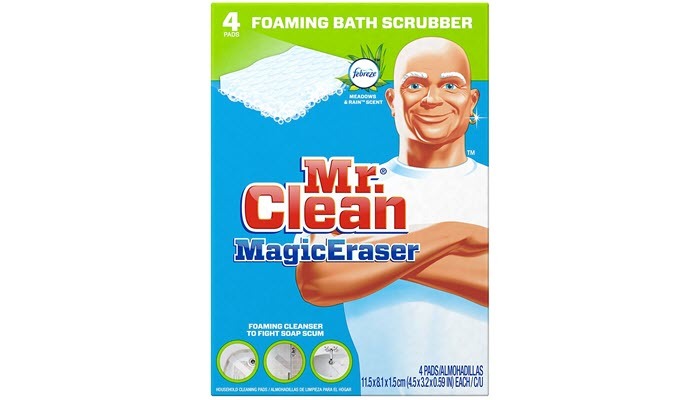 Mr. Clean Magic Eraser Bath Scrubber can remove soap scum even in the toughest and hardest-to-reach areas of your bathroom, including your bathtub. It has a cleaning pad that’s 10% larger than the other products in the market. It’s a lot more durable, too. It has extra ridges which makes it more effective than most scrubbers. Surprisingly, this product uses no strong chemicals in treating dirt. Despite that, this foaming bath scrubber is not gentle on dirt. It can send grime down the drain without leaving any annoying pain on your back. 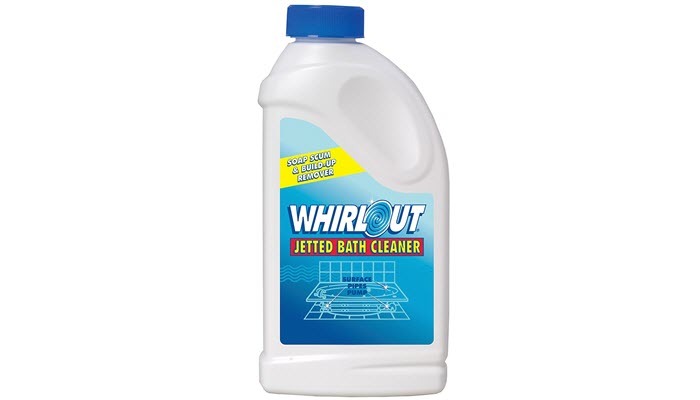 Another great product to try is this Whirlout Jetted Bath Cleaner. It has a self-cleaning formula that’s effective enough to remove soap scum, body oils, and other residues. It can also remove any annoying odor in your bathroom. What’s interesting about this bathtub cleaner is that there’s really no need to scrub. You’ll save not just on effort but time, too. You can just leave the cleaner on your tub and you’ll have a really clean tub after. If you use it frequently, it can help prevent stains, too. As for the scent, it will smell a bit during the cleaning process but it isn’t anything too strong or irritating. It’s just a very subtle smell. If you have textured acrylic bathtubs, The Bucko™ Soap Scum & Grime Remover/Bathroom & Shower Cleaner is the one for you. It has a nice scent of lemon water which makes the cleaning process a lot less stressful. It’s non-toxic and it has no acid, harsh chemicals and bleach to compromise your skin or your health. For most cases, you won’t need to do a lot of scrubbing. This cleaner only needs to be sprayed and wiped away. If the stains in your tub are a bit harder to remove, you can try letting the cleaner sit on the stains for a few minutes before wiping off. After you rinse it out, you’ll see a protective shine on your tub. You can also use this cleaner on your porcelain sinks, toilets, and shower doors. 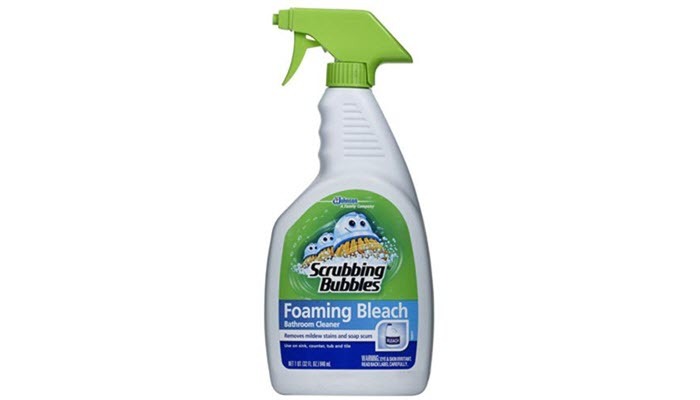 For our budget pick, we highly suggest Scrubbing Bubbles Foaming Bleach Bathroom Cleaner. Similar to the last product, this one comes in spray form, making it easy to use in your tub. It is able to remove mildew stains, grime and soap scum without any strong chemical or bleach scent. Despite that, it’s still a good idea to use the cleaner with proper ventilation. Keep your doors or windows open when you’re using it. The product has a deep penetrating foaming formula that can work well on plastic, fiberglass, stainless steel and even chrome. Since it foams up, its cleaning ingredients don’t just run toward the drain as soon as you spray it. Keep in mind, however, that the foaming formula can make your tub slippier so be careful about stepping on it after fresh application. Having a luxurious hot bath can soothe away all the stresses of the day. However, before you actually soak in your tub, are you sure it’s clean enough? If this question made you feel uneasy, it’s probably not. So, to get your tub squeaky clean again, here are some of the best tips you can do. If your kids like leaving toys in it or if you have toiletries in your tub, take them out first. You won’t be able to clean your entire tub if there are things that can get in the way. Toss away anything that’s empty and wipe all items as you sort them. Clean the walls and the area around your tub first. If the grout is dirty and mildewed, get a grout brush and tile cleaner. Start from the tub and scrub downwards as instructed by your tile cleaner. Pay more attention to the sticky areas and those parts that are obviously dirty. Rinse the cleaner completely so as not to have it mix with the other cleaners you are going to use. After application, let the cleaner sit on your tub for around 3 to 5 minutes or as recommended by your cleaner. Once that time is up, wipe the tub from the top to the bottom. Make sure to rinse everything completely. Using a cleaning brush, scrub the area where your tub meets the wall. This is where soap scum is mostly concentrated. 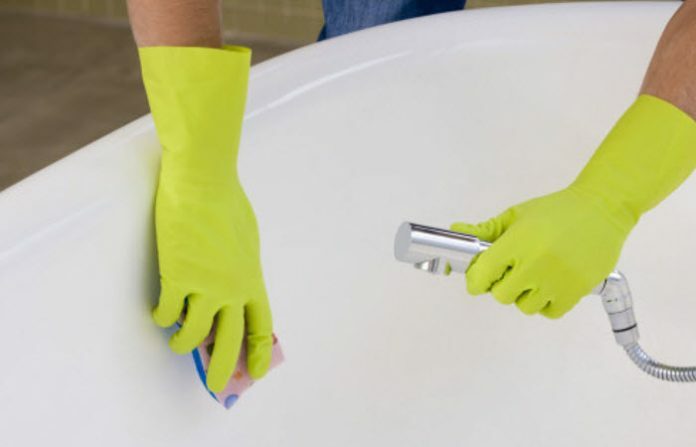 Gently scrub it away and pay attention to the ring around your tub. Its interior can easily get stained as soap and dirt collect there. Now that you’ve washed and cleaned your tub, give it a good, final wipe. Wipe it down with a clean towel and check for water spots. As to how often should you clean the tub, you can do it once a month or more than that if you want to. If you are going with a monthly schedule, be more meticulous about the bathtub ring. Clean it more often and make sure to scrub away stains before they actually appear. Also, you may check out our tips on how to care for inflatable hot tub. When cleaning, don’t forget your showerhead, toilet, and entire bathroom, too.